Plannning a move? Relax. We'll make your move trouble free. We understand that buying and selling can be a complex, expensive and stressful process. Using our service, you can minimise that expense and stress. Our Property Manager Lynne Strachan can guide you through. She will firstly arrange a valuation for your property, then instruct a Home Report, prepare a full schedule with photographs and list it on Rightmove.co.uk for a one off fee. All our offers to purchase are based on the Scottish Standard Clauses. Above all we have extensive local knowledge and experience and take pride in getting to understand your personal circumstances and needs to give you the best service possible. 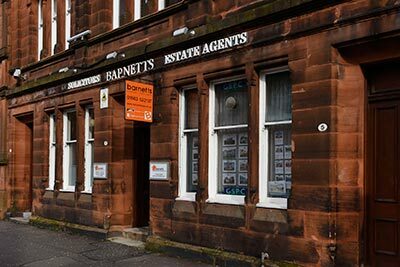 We deal with all aspects of conveyancing for residential purchases and sales and leases Commercial property purchase and sales and leases. We have extensive experience in the handling of contracts, leases and all aspects of residential, agricultural, commercial and industrial property transactions. Whether you're taking on a tenancy or are a landlord looking for buy to let property, speak to us for personalised advice.